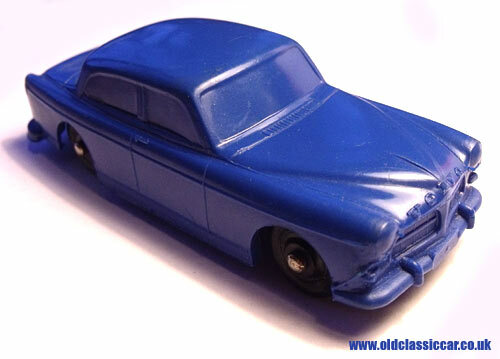 Plastic toy Volvo Amazon car by Galanite of Sweden. Toy version of the Volvo 120 motor-car. Volvo Amazon by Galanite of Sweden. Galanite (or Svenska Galanite Industri to give the Swedish company its full title) produced a number of plastic toy vehicles. Shown here is a toy version of Volvo's 120, or Amazon, series, a car first introduced in 1956. The style of grilles incorporated in the design of this toy version suggest a production date in the late 1960s, rather than late 1950s though. All 120s were powered by a four-cylinder engine, in 1.6, 1.8 or 2.0 litre guise depending on the era in which it was produced. 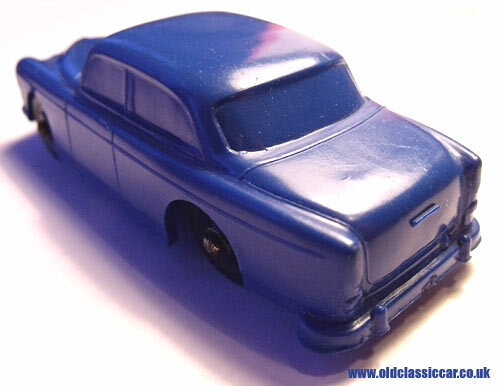 The Galanite toy is based on the two-door saloon, although they could also have opted to produce either a four-door, or estate version of the Amazon (I've owned a few Volvo Amazons myself over the years, the most recent being a green 122S). 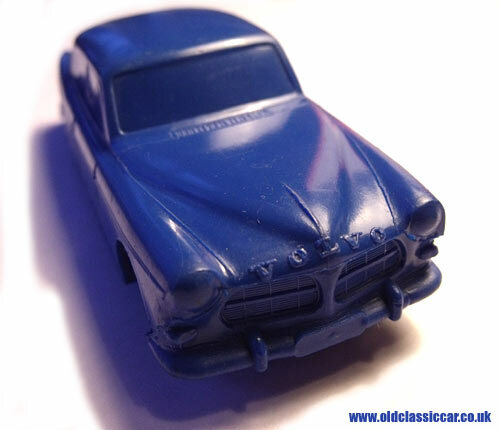 In addition to Volvos, a number of toy Saabs, Scania trucks, Volkswagens, Land Rovers and Minis were produced, all in a child-friendly and flexible plastic/rubber material, with the only metal parts being the two axles. Somewhere I've a few other examples of Galanite toys, when I discover them I'll add them to the site. Owners of "real" Volvo Amazons might find this buyer's guide to be of some use. This toy measures approximately 4ins in length. Similar to this 120, but by Combiplay, is an interesting toy version of Volvo's PV 444.